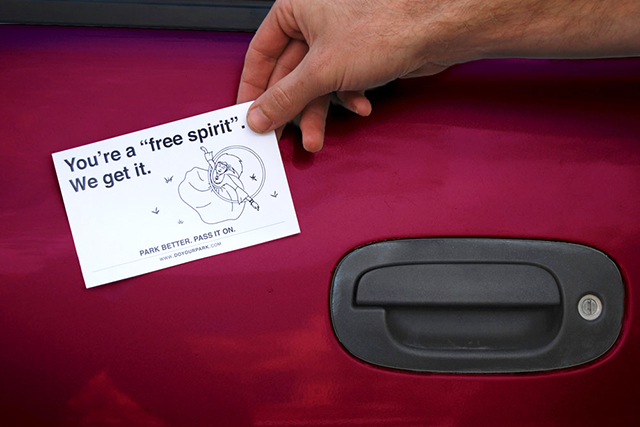 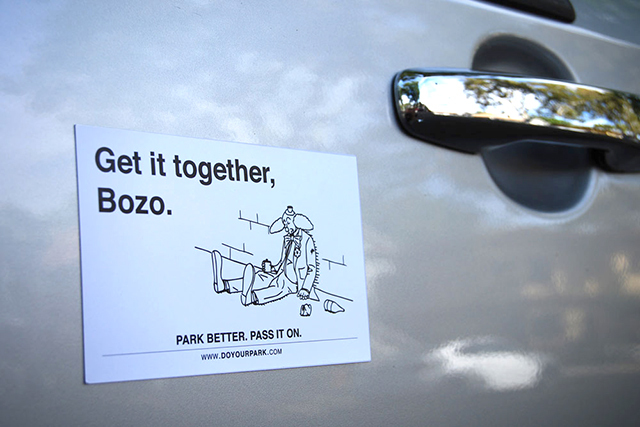 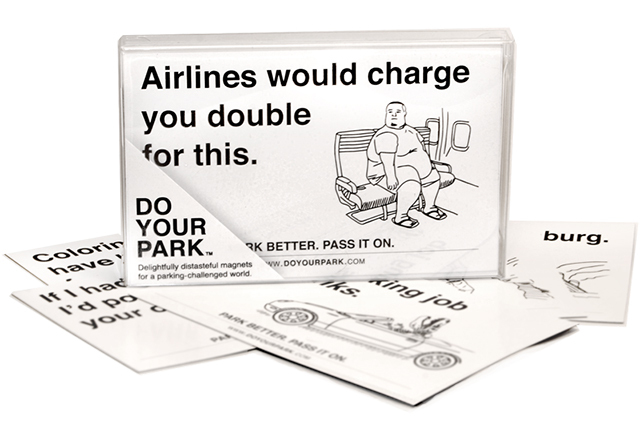 Do Your Park is a collection of humiliating magnets equipped with clever insults and matching illustrations to place on the side of vehicles guilty of a “sloppy parking job.” They are available to purchase online. 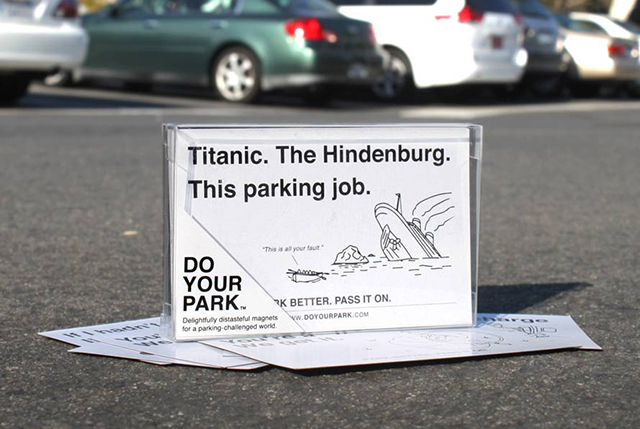 Delightfully distasteful magnets for a parking-challenged world. 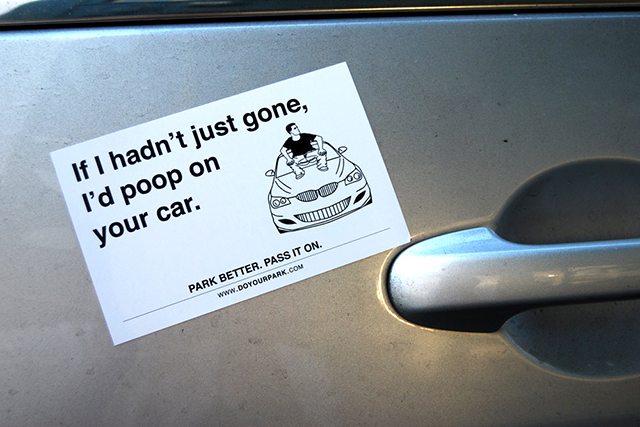 Something as simple as a sloppy parking job can cause a ripple effect, and if we’re not careful, the whole f*cking system could come crashing down at any moment.